SARASOTA – The Sarasota Bay Estuary Program (SBEP) has announced the 2013 winners of Blue Dolphin Awards. The awards acknowledge local champions of Sarasota Bay. The 2013 recipients include Don and Denise Elliott with Sunbow Bay Condominium Association on Anna Maria Island, Sean Russell with the Stow It Don’t Throw It Project, and Lee Fox with Save Our Seabirds, Inc. The Elliotts are being acknowledged for their efforts to create a Bay-friendly demonstration garden at Sunbow Bay located on Anna Maria Island. SBEP provided Bay Partner Grants to support the multi-year project. Sean Russell of Sarasota, who currently attends the University of Florida, has helped raise awareness about preventing marine debris and supporting ocean conservation through the Stow It Don’t Throw It Project, a non-profit organization he formed. Sean also provides leadership to organize the annual Youth Ocean Conservation Summit held at Mote Marine Laboratory. Lee Fox manages the popular bird hospital for Save Our Seabirds located in Sarasota. The SBEP Blue Dolphin Awards were launched in 2012. The inaugural winners included Jack Merriam, the former environmental manager for Sarasota County, Martha B. King Middle School in Bradenton, AMI Turtle Watch and Shorebird Monitoring, Raindrop Cisterns, a company focused on rainwater harvesting, and Charles Edwards, a long-term volunteer with the SBEP Citizens Advisory Committee. Members of the SBEP Policy Board presented the first Blue Dolphin Awards last year at an awards program held at Powel Crosley Estate in Manatee County. 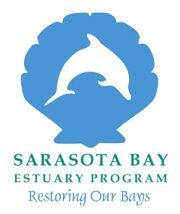 The program attracted more than 150 local professionals focused on the welfare of Sarasota Bay. This year’s awards will be presented throughout the year. The first 2013 Blue Dolphin Award will be presented to Don and Denise Elliott next week at the SBEP Citizens Advisory Committee meeting.